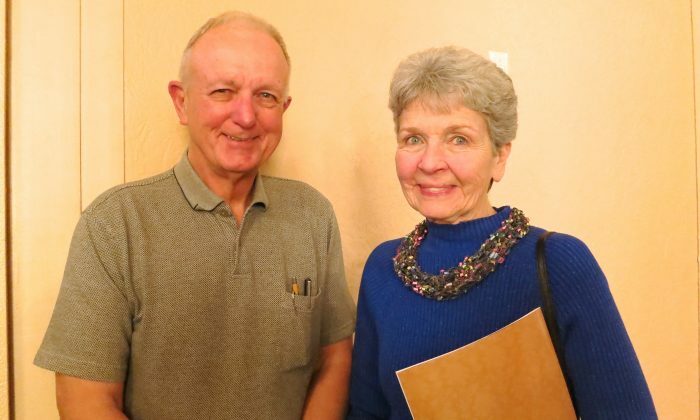 OMAHA, Neb.—”It’s very energetic, acrobatic, and also the deeper mission of the Chinese culture is coming through very well,” said Dr. Ken Merkel after seeing the evening performance of Shen Yun Performing Arts at the Orpheum Theater, on March 8. Dr. Merkel is an engineering professor at the University of Nebraska. He also happens to have a deep appreciation of Chinese Culture. Shen Yun’s mission is to revitalize traditional Chinese culture through the performing arts. While classical Chinese dance is at the core of its program, it also showcases elegant handmade costuming, digital interactive backdrops, and a full-orchestra featuring both Eastern and Western Instrumentation, as well as several vocal soloists. Shen Yun’s program consists of 20 or so songs, dances and mini-dramas that depict scenes from China’s history, mythology, folklore, and literature. Bilingual English-Mandarin emcees offer a brief introduction before each piece. “I think it offers some insight into the richness of Chinese culture,” he added.